Hey everyone, I’ve been reading some of my buddy Joshua Jenkins blog recently and there was never a more outspoken San Antonio Spurs fan than he. Joshua recently married a very close friend of mine who I’ve known almost as long as I’ve been alive. He’s a cool guy, very passionate about things he is for and very adamant about things he is against. Joshua has a blog primarily for religion and sports, which I happen upon often in my Twitter browsings. He recently posted about how the Spurs taught him the gospel. It was such a neat perspective on things, that I thought I’d write on a similar line and bring my own perspective to the court. Ladies and and gentlemen, welcome to the NBAA(National Basketball Assossiation Analysis). I’m watching the OKC/Warriors game in a hotel room. The crowd is cheering, the players are giving it everything they’ve got, and yet the Warriors have 31 point lead. Curry is great, he is a straight-up ringer, he has God-given talent and recognises that. God has blessed this man with great skills. But, one man does not a team make. Steph Curry is not the Golden State Warriors, he is one of them, but not the team. By himself he wouldn’t get far against a team of Thunder, certainly he would not be ahead of them by 30+ points. The thing is, the fans don’t cheer for one man, they cheer for the entire team. A basketball team is a picture of the Body of Christ. One player may be the shot taker, one might be the shot caller, which, is the same thing if you’re James Harden. One player might be the rebounder and another the assist man, the fifth guy is the defensive powerhouse for blocks and steals. The shot taker may have 20 points but only get 2 assists or 1 blocks; the defensive powerhouse may get 7 blocks and 5 steals but only score 2 points. Every member is neccesary to the success of the team, but you can’t judge success in terms of points. The player who scores the most points is not always the MVP, sometimes the guy with the least amount of points is the most important part of the team. Not every Christian can be a frontline, showboat evangelist or missionary. Some of them need to be in the trenches, standing in the key waiting to snag the rebound before the opposition get to it. Some of us are needed to support the showboats, assisting them in their efforts, encouraging them in the faith. There are many member of one team, they all perform different functions that are vital to the success of the whole team. Now, I’ll stop my comparison here because no man made thing is perfect, every earthly thing is fallible. The Body of Chirst cannot be perfectly compared to anything else, for there is nothing entirely like it in existance. But, it is the greatest team ever assembled. This was fun. Maybe we’ll talk some real sports sometime. For now, enjoy the NBA finals, I hope your team wins, and I don’t care what you say, the Toronto Raptors should not be part of the National Basketball Assossiation. It’s not the International Basketball Assossiation. I don’t even think there are any Canadians on the Raptor’s team. Not that I don’t like Canada, but it would be a shame if a Canadian team won our national basketball tournament. I’m not knocking Canada, they gave us Steve Nash who was all-pro and a great player, but we should at least change the name of the assossiation to something more general to include these foreign teams. If you’re not into basketball or sports, you can always leave me a comment requesting a different topic for another day. I want to write what you would like to read, so all suggestions are welcome. The Super Bowl. 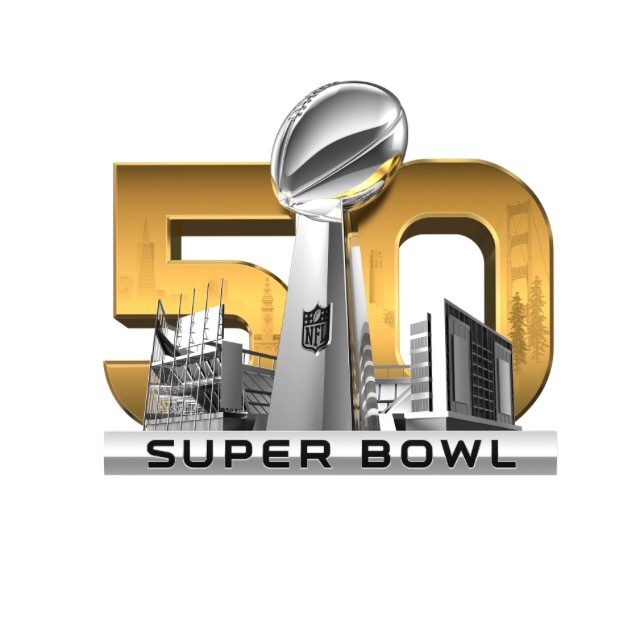 I hate the Super Bowl… Mainly because my team never makes it there, but I hate the Super Bowl. I didn’t always hate it, but ever since Facebook, and Twitter, and over-saved Christians making the Super Bowl a spiritual topic… I’ve grown to hate it. It’s not the event itself, not the spirit behind it, nor even the fact that some people worship the sport of Football that causes me to hate it. I hate the Super Bowl because of the spiritual dump site it has become. People talk about how we should spend time at church rather than go home and watch Football. Or that if we make a big deal out of watching the Super Bowl, they say that we are worshiping sports. It makes me sick! Here it is: God isn’t a killjoy. He’s not sitting up in heaven waiting to rain on our parade and stomp on our fun. Sure, His house and the fellowship with believers should rank above sports, but fellowship can take place at your house as much as at God’s house. The church building is nothing more than a location designated for our gatherings of worship. Do I think it’s wrong that some churches don’t have Sunday evening services to allow the congregation to watch the Super Bowl? No. Their minds and hearts will be with the game whether their bodies are or not. It’s our attitude that makes the difference. If we really wanted to be in church the night of the Super Bowl, we would find a way to make it happen. Even if all we could do was host a Bible study or something that night, if we really wanted to, we would. But we love sports, they relax us, excite us, and bring us joy and laughs. If given the choice between the Super Bowl and church, Christian sports fans would feel obligated to be at church, but their heart wouldn’t be there: what would be the purpose? Am I saying that it’s right to rank Football higher than church? Well, yes. At least, it’s logical if nothing else. When church fails to be more exciting, joyful, and relaxing than a Football game, by all means, go watch Football. Are you getting this? People are more relaxed in their own homes than at God’s house. People get more joy out of worldly, fleeting things than the everlasting hope and promises of God. People get more excited about a touchdown than salvation of souls by Christ Jesus. What is wrong with this picture? Beyond the explanation of why people would rather watch Football than go to church, humans need a break every so often. Fellowship with believers isn’t a bad thing, it’s an element necessary to the growth of a Christian. If that can be accomplished by a Super Bowl party better than it can at a church service, why not? Lastly, it’s not our job to convict other believers about what God wants them to be doing. The Holy Spirit will work in their life to convict. If it’s blatant sin, we have a responsibility to call them out in the presence of witnesses, but this isn’t a direct or indirect sin. If you can’t live with the Super Bowl, live without it; but to make a deal over the way people treat it only angers them and frustrates you. Enjoy the games. And if you are not planning on watching the Super Bowl, I hope you are putting use to that time.